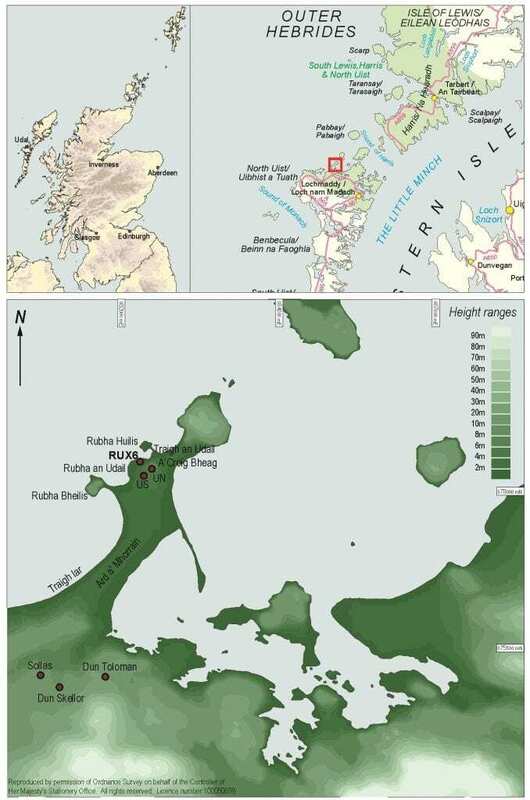 Newly published archaeological research from excavations undertaken at the Udal in North Uist reveals some of the hardships of life in Neolithic and early Bronze Age Scotland. Two burial cairns held the remains of individuals dating to the second millennium BC. Scientific analyses of these individuals demonstrate the dramatic effect that environmental stresses had on the community. Excavations at the Udal revealed the archaeological remains of two round buildings dating to between 3000 and 2500 BC. Analysis of the artefacts indicates that butchering of animals, pottery-making and quartz tool manufacture took place here. The blown sand was only part of the environmental story as another severe storm later brought a flood that destroyed the new fields by depositing a thick stone and shingle beach across them. By this time the coastal landscape was in flux and was in the process of being dramatically transformed. The archaeological evidence reveals that these environmental hardships had a severe effect on the health of local inhabitants. Scientific analysis of the teeth of two skeletons buried on the site indicated they had suffered a lack of food as children, even periods of starvation, and shell fish such as whelks may have become a staple food stuff. The accumulation of sand and the flooding episode separated the end of the late Neolithic settlement from the beginning of the early Bronze Age, around 2400 BC. Sometime after the creation of the beach, a burial cairn was built, under which a young man was laid to rest in stone cist. This large round mound of stone and turf was the largest man-made structure on the Udal peninsula. By erecting the cairn, the inhabitants that lived in the area claimed back the landscape as theirs. The monument was meant to be enduring and it lasted approximately 4000 years before coastal erosion threatened it, necessitating its excavation. 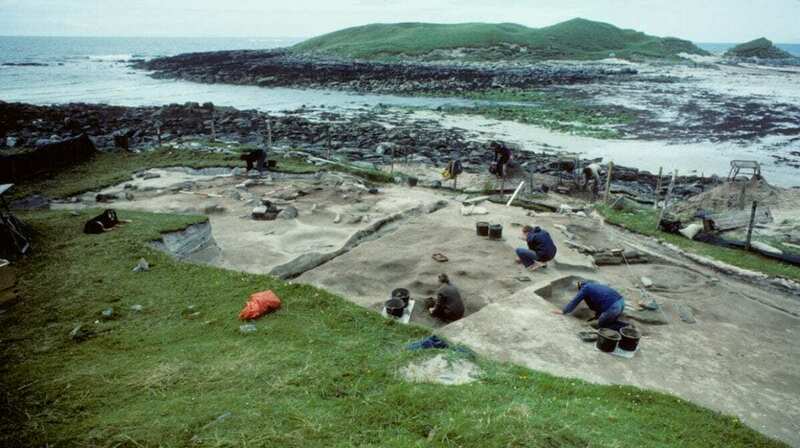 The Udal is a peninsula off the north coast of North Uist and was the focus of many years of archaeological excavations by the late Iain Crawford. This book is the result of several years of post-excavation work on the smallest of the Udal sites, which was exposed by coastal erosion after an exceptional high tide in 1974. While Iain Crawford completed the fieldwork by 1984 he could not complete the project to publication. After a long illness he died in 2016 at the age of 88. The new book is edited by Beverley Ballin Smith, Publications Manager at GUARD Archaeology, who has spent the last few years analysing the archaeological material recovered from Iain’s excavations. The new hardback book, Life on the Edge: The Neolithic and Bronze Age of Iain Crawford’s Udal, North Uist edited by Beverley Ballin Smith is available from Archaeopress Publishing Ltd, at www.archaeology.press for £25. A free version is also available to download from the same internet address.